The domaine was created in 1894 when agricultural engineer Eugène Savès founded the house as a grower and then realized how important it was to produce his own wine. The fourth generation of family ownership is represented by Hervé Savès, who replaced his father Camille in 1982. Herve tends 10 hectares (25 acres) of mostly Grand Cru vineyards in three of Champagne’s most important villages – Bouzy, Ambonnay and Tours-sur-Marne. All of the wines are fermented in enamel-lined steel tanks, but then go into a combination of steel tanks and neutral Oak for ageing, before the 2nd fermentation in bottle. All wines receive a minimum of four years on the lees, and malolactic fermentation is blocked for all wines. The style is based on crisp minerality and fresh, biscuit-laced fruit. There is an extra dimension of citrus cutting through, making these wines of great finesse with rich fruit lurking just beneath the surface. 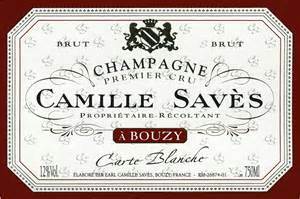 60% Chardonnay (Bouzy Grand Cru), 40% Pinot Noir (Bouzy Grand Cru) from 40 year average age vines. Disgorged in Mar 2014 with 3 years on lees. Dosage 9g/L. Pale-salmon-pink color; dry, medium-full-bodied with freshly balanced acidity and scant phenolics. Richer rounder more focused Rosé with lots of red fruit balanced with a range of riper complex citrus. Has plenty of yeast and earthy minerality but the rich, integrated complete fruit here is the thing. This is great terroir talking without too much winemaking input. YUM. BearScore: 95+. 75% Pinot Noir from Bouzy, Ambonnay and Tours-sur-Marne Grand Cru terroirs. 25% Chardonnay from Tauxières 1er Cru. Disgorged in Feb 2013 after 3 years on yeasts. Dosage 9 g/L Pale-straw color; dry, medium-bodied with freshly balanced acidity and scant phenolics. Very much in middle of the stylistic road with fresh crisp white fruits followed by a bit of red fruit essence and mineral earth. The toast is there but everything is knit together. Elegant, intriguing, integrated; delicious. BearScore: 93.